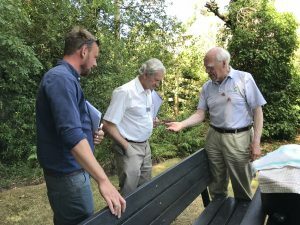 The Bourne Conservation Group (BCG) has again been involved in the judging for this year’s Nation in Bloom competition, held on 10th July. 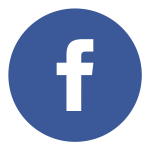 It was the opportunity to launch a technical innovation that should be of lasting benefit for visitors to sites managed by the Group. 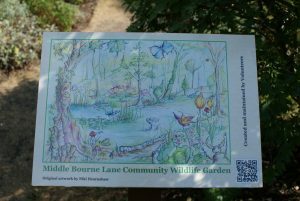 The judges arrived at Middle Bourne Lane Community Garden on time and departed slightly later than their timetable allowed because, as usual, they were fascinated by Martin Angel’s moths trapped the night before. The picture shows Martin demonstrating his skill and knowledge. The garden was looking as good as could be expected in this spell of dry weather and a good impression was given by BCG’s team. 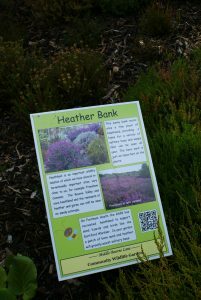 New information signs have recently been placed in BCG’s key sites – they include QR codes that enable anyone with a smartphone to access more information, as can be seen in the sign pictured. One of the youngest members, Thomas Hill, has been the innovator responsible and he demonstrated the QR codes excellently. Thomas has done a great job updating the BCG website in his GCSE year. In addition to the moth display, the judges liked the pond and saw the dragon fly shucks on the reeds. The judges appeared very impressed by the number of different wildlife habitats incorporated into this small site of only a third of an acre. At the Lower Bourne Crossroads the judges were able to see the brand new sign there with its QR code.